The Bouncer @ Big Bounce America - The World's BIGGEST! We had a dream. A dream to build a bounce house so awesome in scale and content that you and your friends would travel from far and wide to marvel at its awesomeness. Inside the bounce house we dreamt of giant slides, ball pits, basketball hoops and obstacle runs. We dreamt of massive inflatable animals among massive inflatable palm trees with inflatable trucks, boats and climbing frames all contained within the walls of our candy-colored castle. We dreamt of DJs spinning from a stage in the middle of all this, of massive sound-systems, confetti blasts, beach balls and all manner of thrilling party games happening around us as we bounced. And we dreamt that it was big. Really, really big…. So what did we do? We built the biggest bounce house in the whole wide world!!! Holding everything together from our custom-built stage at the very centre of The Bouncer is our resident DJ/MC. Because as well as being a brilliant activity, we need to make sure that this is an amazing party for everyone involved. Your experience will play out to a carefully curated soundtrack featuring a perfect blend of current club anthems alongside some of the biggest and bounciest throwbacks from back in the day. And that’s before we even start with the games….boys v girls dodgeball anyone? Or how about a relay race around our giant inflatable jungle animals? For the less energetic, there’s always the chance to take part in the ‘best Mararena/Wobble/Cupid Shuffle’ competition. 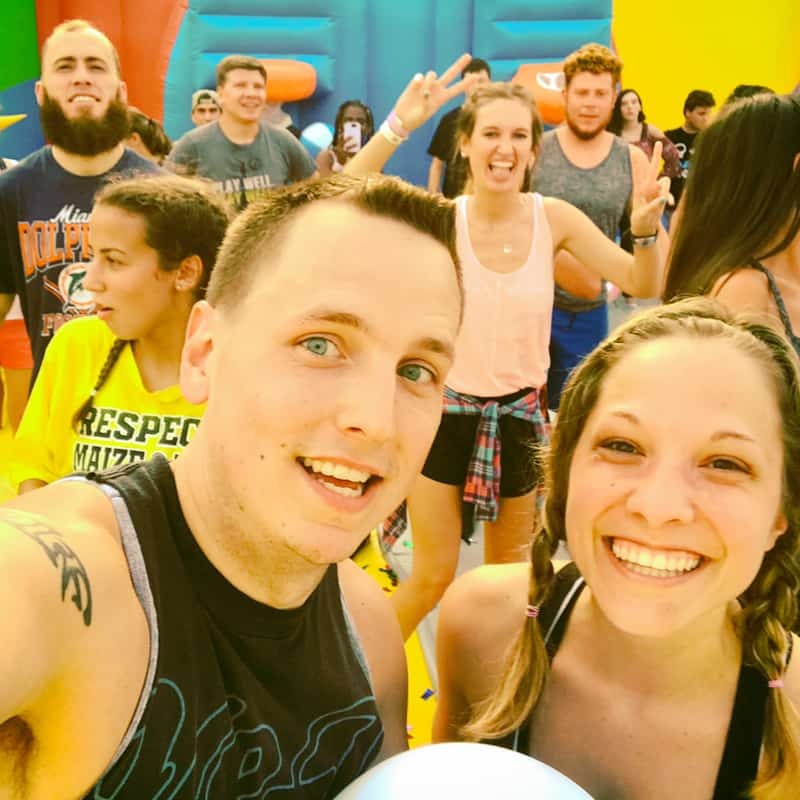 Party-starters, throwbacks, sing-alongs and prizes…..the one thing we can guarantee is that there’s never a dull moment on The World’s Biggest Bounce House. This is NOT your typical bounce house!!!! Within the walls of our massive structure we’ve worked hard to ensure that there’s never a dull moment. We’ve created various ‘zones’, each with a theme and each with it’s own activity-based entertainment. 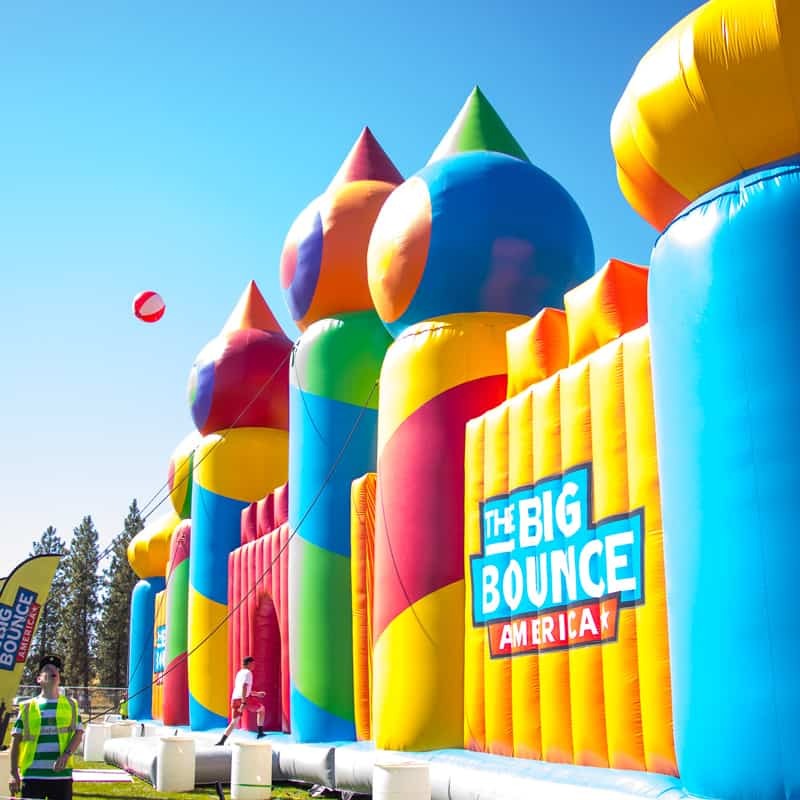 We’ve included basketball hoops for those big-air slam-dunks, an inflatable obstacle race suitable for all ages, and a giant slide that takes you outside the main structure and lands you into a ball-pit. There’s an inflatable forest, giant inflatable jungle animals (get them on Instagram! ), inflatable trucks, boats and four-poster beds for you to bounce around in or just chill out on.